Tomorrow night we'll be joined by Vendy finalist Chef Samir Afrit from the Comme Ci, Comme Ça Truck which specializes in Mediterranean food with an emphasis on the cuisine from Chef Samir's native Morocco. The book features his recipe for Lemon Chicken, Vegetable Couscous, Kofta, Charmoula and Green Olive Sauce. You can make yourself an incredible Moroccan feast with those recipes alone. 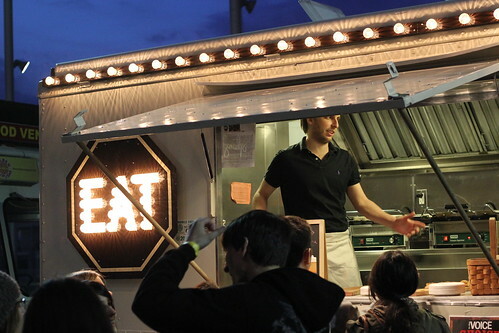 Chef Samir mainly vends around Manhattan--both downtown and midtown, but as a special treat the truck will be vending prior to the event at Powerhouse Arena. 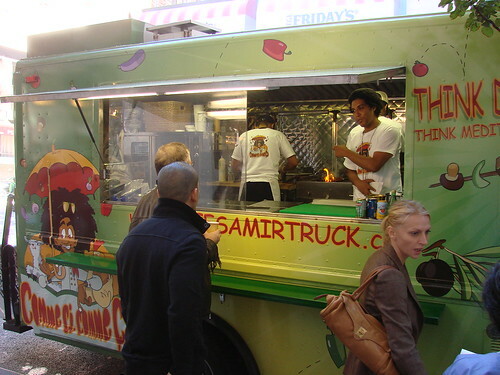 Follow Chef Samir for any updates @Chefsamirtruck. 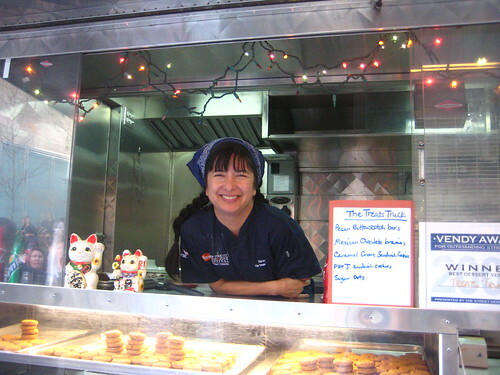 We'll also be joined by the always lovely, Kim Ima aka The Treats Truck Lady and her big silver truck Sugar. Kim was one of the first vendors we became friendly with during the early days of the Treats Truck and our blog. She's shared her Coffee Icebox Cake recipe and her spiced zucchini cake recipe in our book and she also has her very own book, The Treats Truck Baking Book, that's full of tons of yummy treat recipes, regulars will recognize from the truck. Keep tabs on The Treats Truck and Kim's shop, The Treats Truck Stop @TheTreatsTruck. Last, but certainly not least, we'll be joined by Michael Jacober from Morris Grilled Cheese. For serious cheese lovers, Morris' seasonal and local menu is one of the best things between bread roaming the streets. They'll be serving up dinner* and stories. 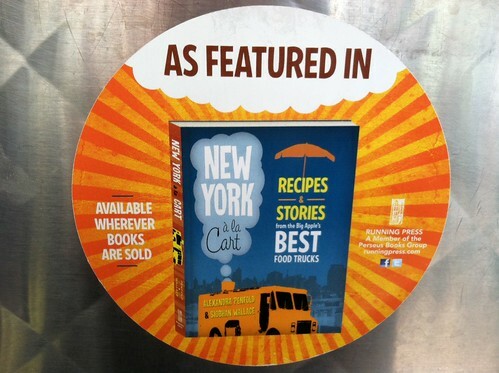 Our book features their recipe for Hot Pastrami sandwiches (yum! ), papas fritas as well as chimichurri sauce and a primer with tips for making the BEST grilled cheese ever. Keep track of Morris via @morristruck. And they just opened Gladys, a brick and mortar shop in Crown Heights. The early peek at Gladys on Grub Street has me dying to make a visit. The event runs from 7:00pm until 9:00, but the trucks will be vending earlier in the evening so you can get a bite to eat before the talk and signing. As always, keep tabs on them via twitter for their exact location. Hope to see you there! *After posting, we learned that unfortunately, the Morris Truck will not be able to join us for the event, but Michael be there for the panel.